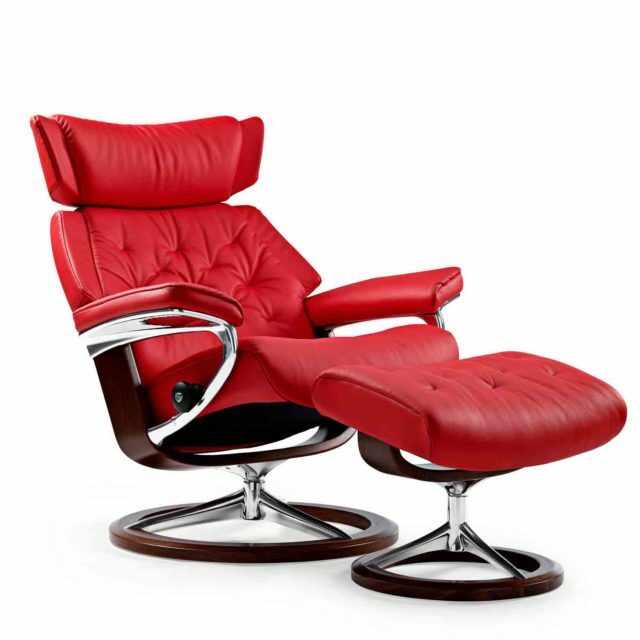 The Stressless Skyline Recliner easy chair has a unique look, with a retro-inspired modern cushion design. The Stressless Skyline also has the new signature frame with Balance Adaptã¢-system. The Stressless Skyline balances between a traditional and modern design, and therefore fits perfectly in both modern and traditional settings. The neck support is adjustable up to 10 cm to suit users with a long back. The innovative BalanceAdaptã¢ system is a newly developed function that provides an added dimension to the comfort experience. The chair’s back and seat automatically adjust the seated position according to the movements of the body. The BalanceAdaptã¢ system is integrated in the Stressless Skyline chair’s signature frame and you will definitely enjoy the added comfort.